How does your company support your workforce in the moments that matter? If you think all you need to do to take care of employees’ health is to provide a decent insurance plan, it’s time to think differently. The most forward-thinking companies are overhauling how they approach health, well-being, and benefits— and seeing productivity, morale, and loyalty improve as a result. 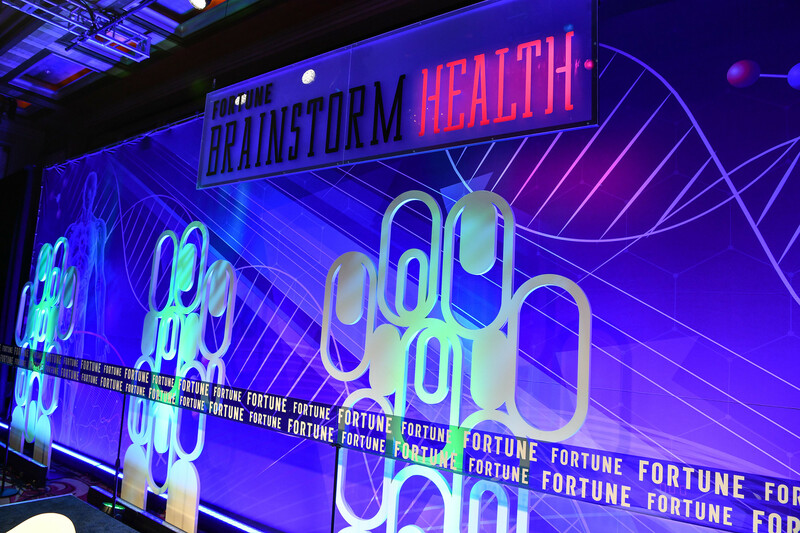 “If you took benefits in general, we think of [them] as a package we cost-optimize and push out to employees and say, ‘Here you go!’” said Jared Smith, co-founder of experience management company Qualtrics, speaking at the 2019 Fortune Brainstorm Health conference. Instead, businesses should be treating employees more like they treat their consumers, taking into account their needs, desires and pain points — finding gaps in their experience and filling them with new offerings. Here are how high-performing leaders are changing workplace well-being — and transforming their business. Whether it’s generous or stingy, most companies have a single, standard parental-leave policy. And according to conventional wisdom, the way to improve leave is simply to give more of it. Software giant SAP learned differently a few years ago, when they took a look at what employees really wanted, said Jennifer Morgan, SAP executive board member and president of global customer operations for the Americas and Asia Pacific Japan. “Parenting doesn’t just happen when a child is born,” she said. “Some people want to take that time up front.” But others would rather take some leave right after a child arrives, go back to work, and then have additional leave time later. When SAP started offering more choice and flexibility, it was considered revolutionary. Google famously encourages its employees to spend 20 percent of their work hours on side projects. Smith, who previously led Google’s product efforts for Greater China and Southeast Asia, said the reality was more like 120 percent of their time — with employees doing projects on top of their normal responsibilities. Qualtrics has taken a different approach. Keeping in mind that longer life spans will increase the lengths of people’s careers, they decided to give people dedicated time for education. “All employees should have 10 percent of their time to learn and retool,” Smith said. The company tells employees to take two days each month for themselves, betting that it will be repaid to the business in happier employees with more up-to-date knowledge. “If you measure it, it gets managed,” said Marcie Frost, CEO of the California Public Employees’ Retirement System, the second-largest health purchaser in the U.S. after the federal government. With some 2,800 employees and 2 million members, CalPERS has access to vast amounts of data. It uses that information to negotiate rates and inform investments — but also to improve the health of the people it represents. Examining the numbers revealed a disturbing pattern: members were taking opioids for longer than they should have been. CalPERS started tracking the numbers intensely, making them transparent within the organization and having meetings to discuss solutions, Frost said. Over the past few years, they have reduced the duration of opiate use by 30 percent. Diabetes is one of the next problems CalPERS hopes to tackle with data. Companies that recognize that employees’ lives are defined by their experiences, both at work and at home, and support their workforce in these moments that matter will gain loyalty, boost retention, increase productivity and creativity, and win in the future. That’s why Thrive Global, SAP and Qualtrics have joined together to announce the launch of the Thrive XM Index, a groundbreaking diagnostic tool that gives companies a different way to gather insights about their own employee populations, in order to help them connect the human capital investments and people experience to their bottom line and redefine the way businesses manage their most important asset — their people — for the ultimate result: payback in performance.